The Egretta garzetta is a small heron commonly called the Little Egret. They may be found in Africa, Asia, Australia and parts of Europe. This one was photographed in Okinawa, Japan. As many types of white egrets as there are, this one stands out as being the only species on Okinawa having a black bill, black legs and distinctive yellow feet. They eat insects, frogs, snakes, shells and small fish and may often be seen doing a little dance to stir things up in shallow waters along the coast. When they see me coming in my yellow flip flops they don't mind me taking pictures of them. But, when I get in the water and start dancing like them, they don't like it and fly away. 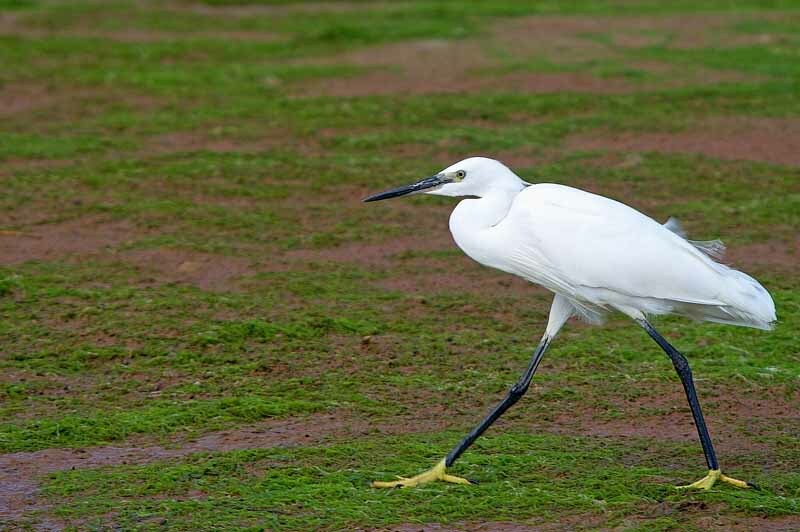 So, now you know what a Little Egret looks like and why I gave up dancing. What a unique and beautiful looking bird, sounds like it shares its taste in food with the French!! you say you've given up dancing Mike, so who was that guy in your bar doing a bad impression of John Travolta on Friday night then? Dancing in the bar? Oh, that was probably me. I only gave up dancing with the birds. Shoulda clarified that, huh?